Contradictions aren’t new within this Indian team, though this time the India coach seems to be differing with himself. Melbourne: When was the last time that a player, unavailable for selection due to injury, was named in the short list of 13, less than 24 hours before the start of a Test match? On December 13, 2018. The player in question, Ravindra Jadeja. Over the last ten days, plenty of air time and media space has been devoted to India’s faith in a four-pronged pace attack at the Perth Stadium for the second Test. This, in a game where Nathan Lyon, the lone specialist spinner in the game, walked away with the man-of-the-match honours following an eight-wicket match haul that bowled Australia to a series-squaring 1-1 victory. Ravi Shastri, the head coach, sang a different tune as the team reassembled for practice at the Melbourne Cricket Ground on Sunday (December 23), proclaiming that Jadeja hadn’t been considered because he was not 100% fit. That was as much of a left-field punch as imaginable, because there had been no suggestion until then that the left-arm spinning all-rounder from Saurashtra had been carrying an injury. Clearly, something is off somewhere. Even assuming that Kohli didn’t feel the need to discuss Jadeja’s injury in the aftermath of the Perth drubbing, how does it explain his inclusion in the 13 named for the game? And where is the justification for Jadeja coming as a fielding substitute in both the Adelaide and Perth Tests if it was his bowling, and throwing, arm that was the suspect part of his body? Shastri, full of beans as usual and deflecting brewing criticism back home with characteristic bravado, also announced that Jadeja had come into the tour carrying soreness in his left shoulder. Did the team management/physio Patrick Farhart inform MSK Prasad’s selection committee of the same? And, if so, did the selectors still go ahead and pick Jadeja in the original, jumbo-sized 18-man party? As per recent norm, Indian cricket seems replete with more questions than answers. Without insinuating that Shastri is being less than truthful, it boggles the mind that India would not just name Jadeja in the 13 – that can still be put down to mind-games and keeping the opposition on its toes – but actually send him on as a replacement fielder. At no stage during his various stints as substitute did Jadeja hold back while throwing the ball from in close or the deep. Not once was he seen feeling the offending shoulder, or receiving attention from the physio. If he was no more than 70-80% fit, what was he doing out there in the middle, especially with so many more sitting in the changing-room? Wasn’t he putting himself in greater danger of aggravating the injury and ruling himself out of contention for the rest of the series? Jadeja seemed 100% fit as he wheeled away at the outdoor nets at the MCG on Sunday, but then again, he had seemed fit in Adelaide and Perth as well. Ashwin didn’t bowl more than a couple of deliveries from a standing position and is still a doubt for the Boxing Day Test. 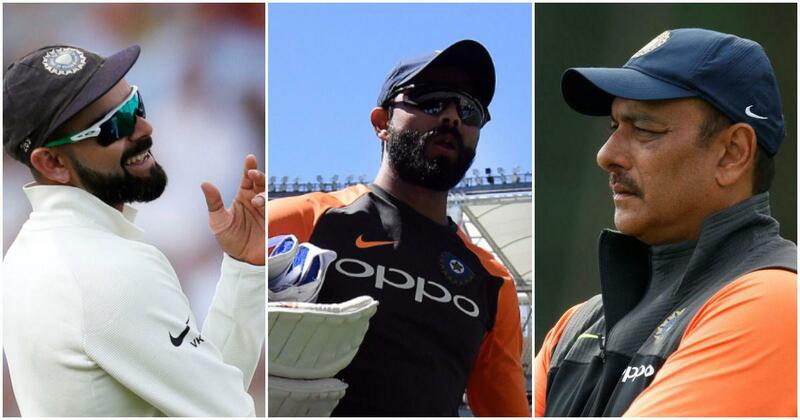 Shastri has already indicated that even if less than fully fit, Jadeja is most likely to play in Melbourne if Ashwin isn’t around, another bold statement especially with the head coach himself harping on the dangers of fielding a semi-fit player. Only, a couple of minutes earlier, Shastri had used completely different logic when talking about Hardik Pandya’s chances of breaking back into the XI. Pandya had been out of commission with a lower back injury for nearly three months before playing last week for Baroda in the Ranji Trophy against Mumbai. He sent down 18.5 overs in the first innings for five wickets, and 10 further overs in the second, the twin bowling stints sandwiched by a three-and-a-half-hour 73. 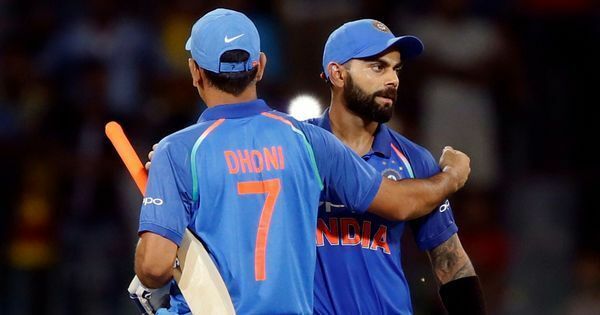 Contradictions aren’t new within this Indian team, though unlike this time when Shastri seems to be differing with himself, the coach and the captain have had divergent views in the past. After the series had been surrendered in South Africa, Shastri conceded that India would have been better off having played at least one warm-up game, while Kohli insisted that a match for the sake of it against a weak opposition would have served no purpose. That’s fine, there’s nothing wrong in having differences of opinion. But when player injuries are couched in the secrecy associated with national security, then hackles are naturally raised. After all, transparency can’t be used as a tool of convenience.